Katelyn and Tom were married on August 31, 2013 at the gorgeous Ten Mile Station in Breckenridge, Colorado. 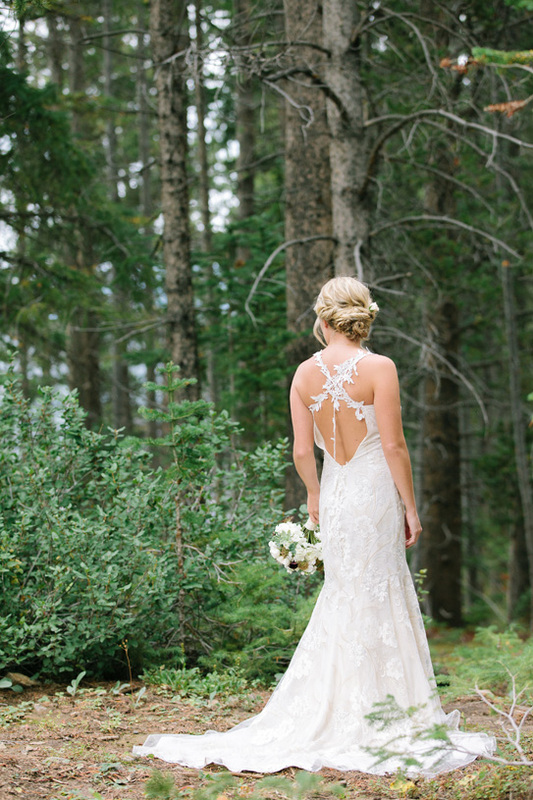 Katelyn's gown, 'Devotion' by Claire Pettibone from Little White Dress Bridal Shop, is a perfect match for the natural mountain setting of their soft and colorful wedding. Do you want to meet and be styled by Claire Pettibone? The world famous designer of feminine, naturally beautiful gowns will be at Little White Dress for a trunk show of her new collection, plus favorites from seasons past, January 24th-26th! Please visit www.lwdbridal.com for more info.